Diervilla rivularis 'Honeybee' is sure to catch your eye. 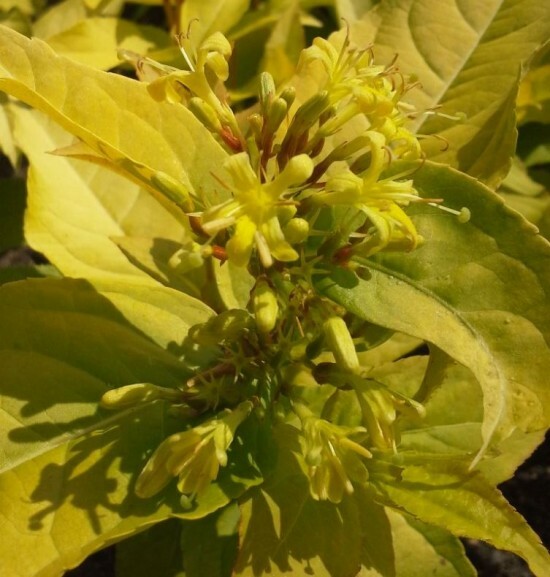 The golden yellow flowers and the vivid yellow leaves provide a striking colour accent, making the plant highly effective in a shrub border or in mass plantings. When it blooms in the summer it is a pollinator magnet.